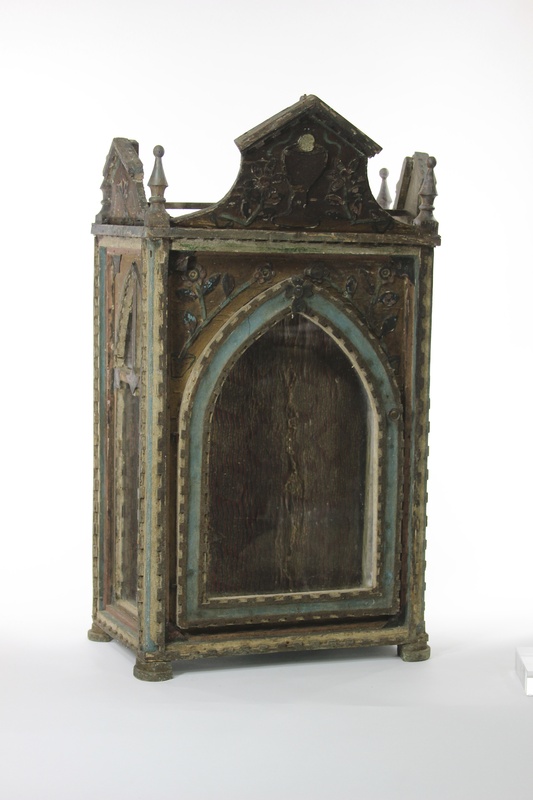 This charming cabinet is an early hand crafted work of art from Portugal. 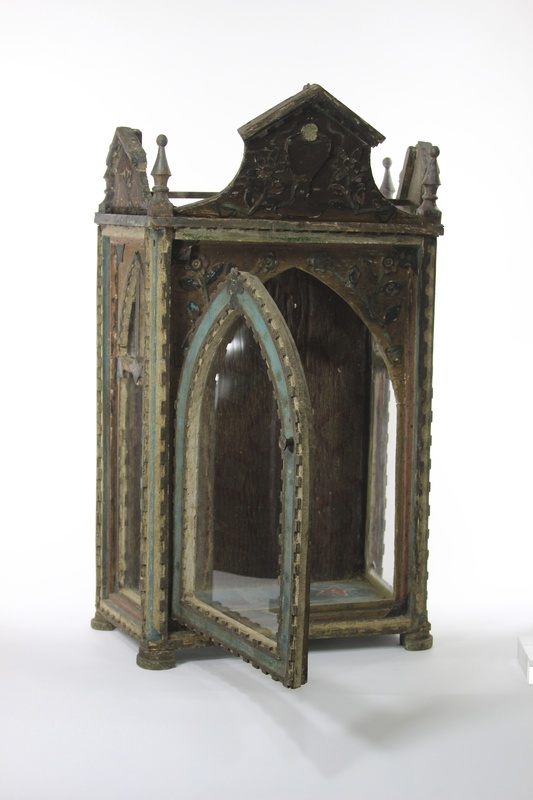 A little primitive, a little folk like, and all originally designed to hold a revered religious sculpture. 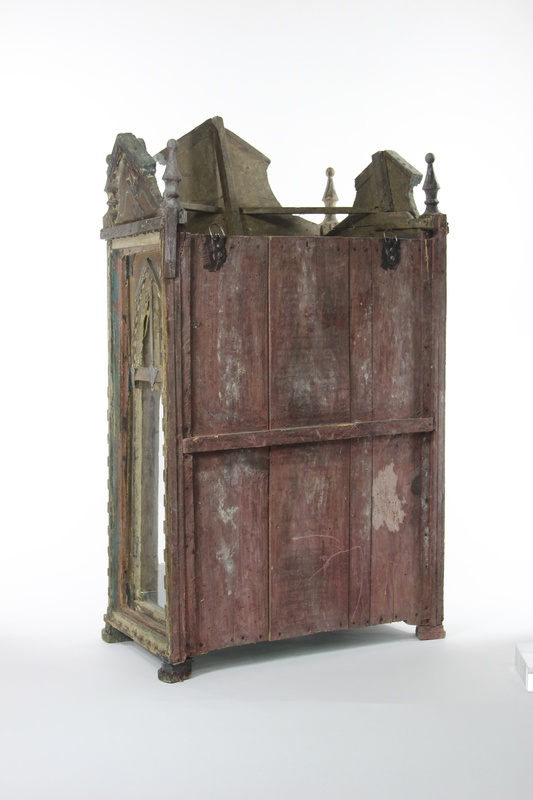 Probably made for a family chapel. Such charming detail of hand cut metal accents. 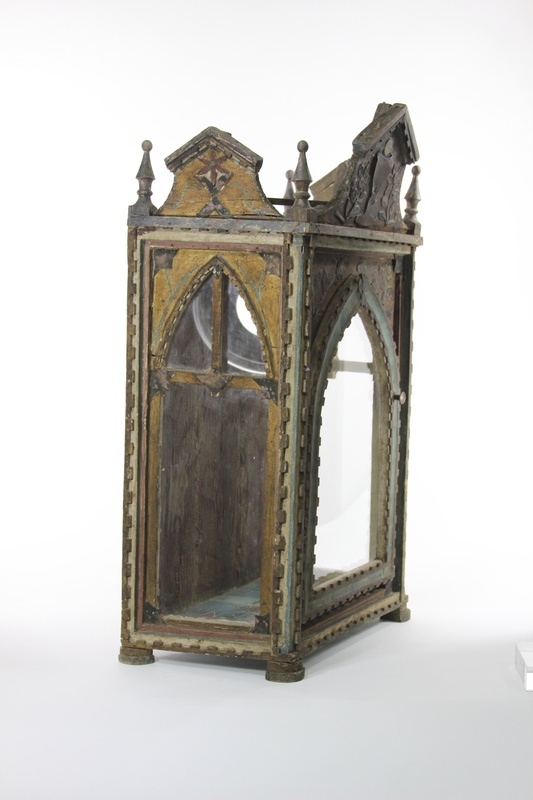 The chalice, floral designs and corner accents look to be made of copper then painted .The simple hinged glass door can be removed for an open display to reveal the interiors religious emblem and old wallpaper. L 18.5" x D 10" x H 37"